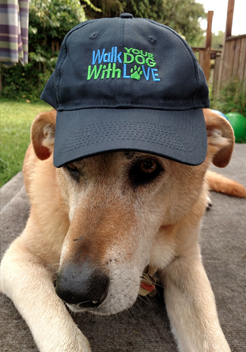 Walk Your Dog With Love's classic Paw Love logo... now on your hat. The Simple Message "Walk Your Dog With Love" is more than just your favorite harness brand, it is also about what is in All Of Our Hearts; And it's The Wish that - if they could speak- all our dogs have. Walk Your Dog With Love.